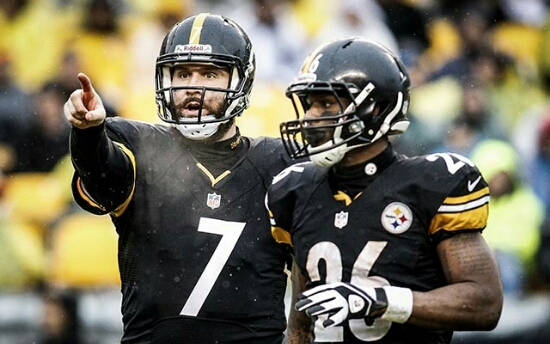 Calm Down Steelers Nation/World..We Got This | "IT'S A STEELERS WORLD"! It disturbs me when some(and by some I mean few)..Pittsburgh Steelers fans start hitting the panic button over some of the most minut situations, as if to give up on a season over a few suspensions. Although they may be significant to the team to an extent..here is what that attitude may do to affect the players next in line. EXAMPLE: When a child raised by negligent parents call their children “worthless”..”no good”..or “I never wanted you in the first place”, children receiving such abuse tend to grow up with a hatered for everyone and everything around them. A bit of a stretch for an example I know, but when backup players or those thriving to become backups/starters hear fans..see tweets..and hear reports that they are not good enough or able to do their jobs, it may affect those players in the same sort of way. It is bad enough when we have the NFL media and other teams who obviously hate us down talk our team, the last thing we need is our own supposed loyal fans drawing a line in the dirt and believing that our season is already over. The last I checked..I remember when a future Hall of Fame quarterback stepped in as a rookie and not only did fans go into an uproar, but another future Hall of Famer did so as well. And that player was Alan Faneca, who was disappointed by the fact that one Benjamin Roethlisberger was going to start due to an injured Tommy Maddox. 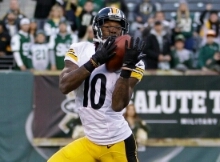 This is what I am saying, sure..we are without Le’Veon Bell for two games, Maurkice Pouncey for an undetermined amount of time and more recently Martavis Bryant suspended for four games with a hopeful of two, we still have players behind them..both veterans and rookies ready to do their jobs. What helps these players to progress..like children to grow is our support. Support that nurtures and plants the thoughts and belief that they can and will succeed, and it all starts with us as Diehard Steelers Fans. Because once the media senses our disturbance they use it, and run with it on radio and television causing even more of an uproar of disarray. So this is what I ask of you. Show your support for Cody Wallace, Doug Legursky, DeAngelo Williams, Dri Archer, Markus Wheaton, Sammie Coates, Darius Heyward-Bey, Tyler Murphy and any other Steelers player stepping into a new more significant role. And let them know that we believe in the team as a whole..not just individuals.